Tonight on Lifetime their critically-acclaimed hit series Drop Dead Diva continues with its season 6 finale episode called, “It Had to Be You.” On this evening’s episode, Season 6 ends with Owen and Kim trying to talk some sense into Jane about her relationship with Ian. On the last episode, Kim and Owen refused to support Jane’s new whirlwind romance. Meanwhile, Jane represented a mother whose son died at a football camp; and Kim was rescued from a mugging by a masked “superhero,” who was then sued by the mugger. Did you watch last week’s episode? If you missed it we have a full and detailed recap right here for you. On tonight’s episode Owen and Kim try to talk to Jane about her relationship with Ian hoping that she’ll understand. Meanwhile, Teri realizes that Ian is her former classmate, who is responsible for ruining her chances at stardom; and Kim represents her former temp when he is fired by his agency. Tonight’s season 6 finale is going to be a great one, which you won’t want to miss. 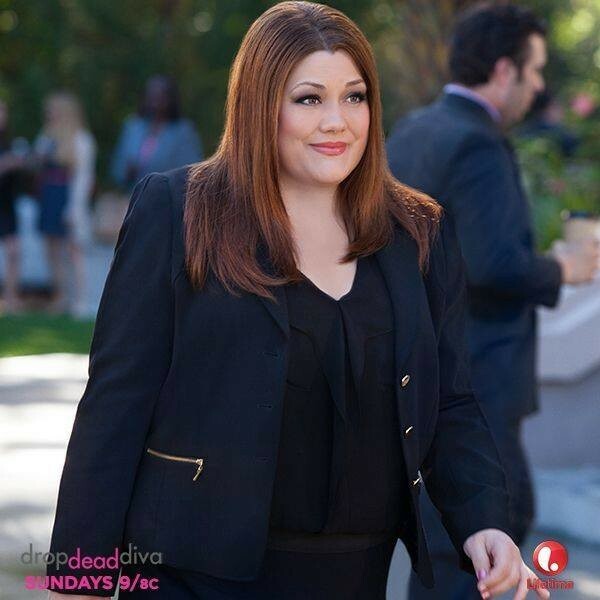 So be sure to tune in for our coverage of Lifetime’s Drop Dead Diva tonight at 9 PM EST! Remember also to bookmark Celeb Dirty Laundry and check back here for our live Drop Dead Diva recaps, reviews, news, and spoilers! In the meantime, enjoy a sneak peek preview of tonight’s episode below. Tonight’s episode begins with Jane introducing Teri to Ian and trying to smooth things over as to why she is already sharing her bed with another man so soon after Grayson’s death. She seems to already know him and slaps him on the face and walks out, leaving Ian and Jane puzzled. Back at the office, Paul gives Jane’s clients her new address after telling them she is no longer at the firm. Kim gets a visit from a past acquaintance, the man who worked at the firm as a temp for a few days and briefly dated Kim, but he is there for legal purposes and wants to hire Kim on a wrongful termination suit. Meanwhile, Jane greets the clients who were directed to her home. She is willing to take their case but warns that she is working out of her home. They say they are fine with that. Ian comes out and introduces himself as Jane’s paralegal. The couple, Jane’s clients, seem hopeless with a case that seems impossible to win, but Jane is up for the challenge. The couple are in deep trouble for trying to save the whales. Shortly after, Jane keeps trying to call Teri, but gets no response. She gets a call from Paul stating that Owen wants to see her. She assumes Owen wants to apologize and offer her her job back, but that is not it. He called as a courtesy to let her know he is representing the company suing Jane’s client, the Sea Defenders and wanted her to know he’ll see her in court. Stacy and Owen argue about Jane and Ian and Stacy asks Owen to reconsider his thoughts on Jane. Later, Jane and Owen square off in court. Jane is not doing so well and the judge thinks her legal defense is nonexistent. Jane later tells Owen that she cannot believe he is representing a client who is whaling. He tells her he represents the law. Owen tells Jane how worried he is about her when he sees Ian and learns that he is now acting as her paralegal. Owen offers to let her come back to the firm and he’ll give her time off to get help. Jane declines any offer and tells Owen she has to live her life her way. Kim and her client meet with the employer, and Kim learns that her client violated a company policy and he will not back down because the tweets that came from Kim’s client were damaging to the company reputation. Kim tells him they will see him in court. When Kim is in court, she tries to show that her client’s belief in Bigfoot is valid and common and he should not be terminated for tweeting about it. The employer’s attorney is tough, though, so she is in for a challenge. Stacy is stressing about the seating chart for the wedding because Owen will not want to sit at the same table with Ian and Jane. Jane offers to miss the wedding despite being Stacy’s BFF, but Stacy cannot imagine having her wedding without Jane. Jane wants her to have a great day, free of any problems. Stacy stresses over this and gets some advice from Paul. Jane meets with her clients back at her house and breaks the news that the hearing didn’t go so well. Shortly after, Jane and Owen meet with the judge in his chambers to get his okay on the new way Jane wants to pursue the case which will have her representing one of her clients as an individual, not as part of the Sea Defenders. Jane is in court and asks for a dismissal on the case, because the woman who was driving the sea vessel was not authorized to do so, so the Sea Defenders cannot be held liable. Jane wins the battle for her clients because the judge agrees that the woman is responsible. The decision to seize her assets as payment to take case of the damage the ship did, Jane hands over everything the woman owns…which probably amounts to about $100.00, if that. Later, when Jane, Ian, and their clients are celebrating, the party is interrupted when the woman is arrested and is told she must face charges in Japan stemming from the vessel incident. Jane doesn’t know what to do, but Ian tells her not to say anything until they can get to her as she is taken away. Jane goes to see Owen and tells him off for having Dina extradited. Stacy tries to make nice between the two, but Jane storms out after she give Owen a piece of her mind. Kim later meets with her client and inquires as to whether or not any of his coworkers complained about his fascination with Bigfoot. She tells him she wishes she gave him a chance. They share a couple nice words and she goes in for a kiss, but is stopped by her client. He is nice about it, but tells her he needs to leave. Ian finds out where Teri is and goes to talk to her. He asks her for an apology as he tries to discover what he did in the past. He finds out that Teri holds him responsible for losing out on a singing career after showing up drunk to a talent contest years earlier. They went to high school together and were the best of friends. He apologized again and the two are fine now. Later, Ian updates Jane on what happened with Teri. Jane is getting the update from Ian about Teri when it is discovered there was a note left on her door. It was an invoice from the company responsible for the killing of the many whales the Sea Defenders were hoping to save. Jane meets with the judge ASAP to share with him the news that can get her client freed. She can be protected under a certain law because the company violated the law by not working within the legal requirements for whaling and killing far more whales than allowed. The judge offers to help and gives the word that the plane Jane’s client is on can be asked to stop and turn around. Kim later talks to Owen about her client mistake after he sees that she worked all night and seems really down. He gives her good advice and makes her feel better. Later, in court, She gives a speech about her client’s case that sounds an awful lot like the advice she got from Owen, mixed in with her personal beliefs. It was not enough to sway the judge and the employer wins the case. 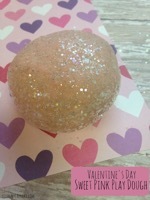 Kim’s client asks is she means all the great things she said. When she says that she did, he immediately kisses her. Jane goes to see Owen and tells him that she knows it was him that taped the invoice to her door. The two seem happy to end their feud and Owen asks Jane to join him as he goes to pick up Stacy to head to their wedding. When they get to the house, Stacy is in her dress. Jane and Owen tell her how beautiful she looks and she is so happy that they are friends again that they all go in for a group hug. Stacy’s water breaks and she still wants to go to her wedding. Jane and Owen explain that that cannot happen and, as her pain starts coming, she agrees and they head to the hospital. Teri asks Jane for an extended leave of absence. She wants more time for her singing career. Jane encourages her. Teri tells Jane that she likes Ian and is glad she is happy. She says that Ian reminds her of Grayson and Jane agrees, with a twinkle in her eye. In the hospital, Stacy and Owen welcome twins. Everyone is happy and healthy. Ian congratulates Owen with a handshake and they seem fine. Later, Jane and Ian head back home and talk about the one day they have kids. Jane surprises Ian with a piano since she learned he can play. He sings a song and plays the piano for Jane. She sees Grayson’s old face as Ian sings to her. She is at peace knowing Ian is her Grayson and joins him at the piano. They end with a kiss after he sings “It Had to Be You” to Jane. Not an over-the-top ending to the series, but at the time, it was meant to be only a season finale. At least it ended on a happy note.